Please note that Zoland maintains a collection of thousands of loose diamonds in all different shapes, sizes, colors, and clarity, including over 1,000 GIA certified stones. 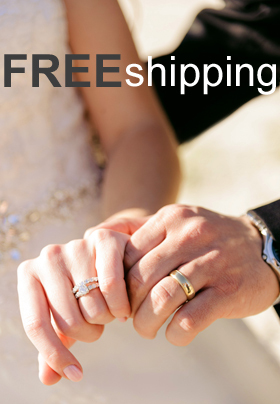 Let us help you find the perfect diamond for your engagement ring. 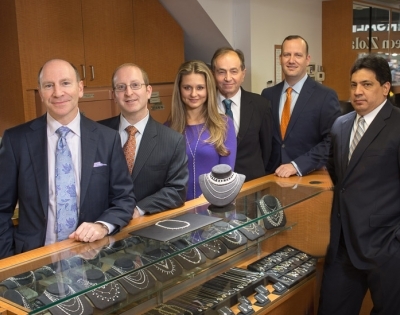 We are dedicated to matching the right stone to your vision and budget. Then we will create the perfect setting to show it off! 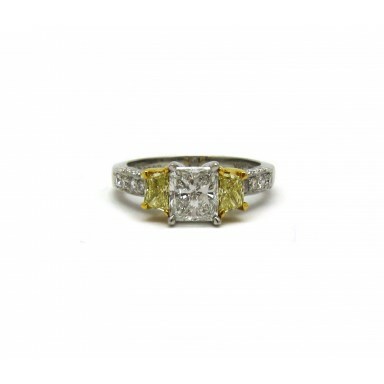 This unique engagement ring features a beautiful cushion cut diamond surrounded by a halo of brillia.. 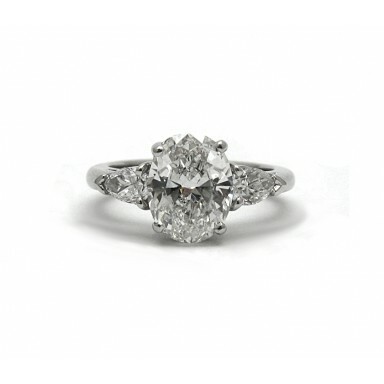 This old world style engagement ring features a beautiful traditional GIA certified cushion cut diam.. This elegant oval diamond engagement ring is simple and elegant. The center diamond’s quality is ext.. 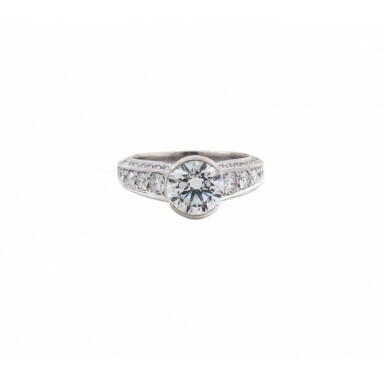 This gorgeous engagement ring features a beautiful radiant cut diamond in a traditional diamond.. This unique bezel set diamond ring features a 1CT round diamond. The wide shank contains additi.. 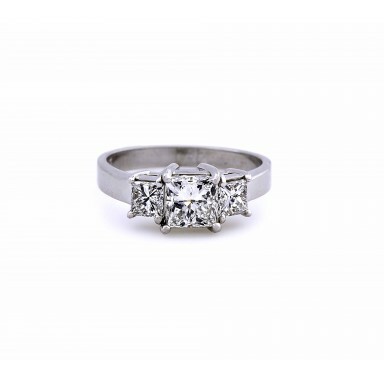 This intricately detailed engagement ring features a semi-bezel set 1.32CT diamond se.. 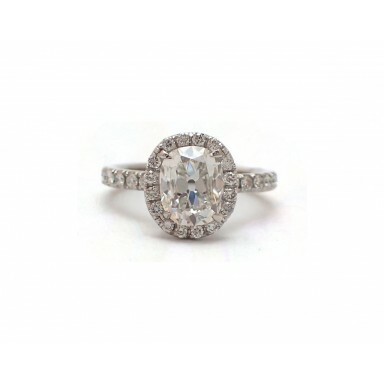 This elegant engagement ring features a beautiful oval cut diamond flanked by two additional side di.. 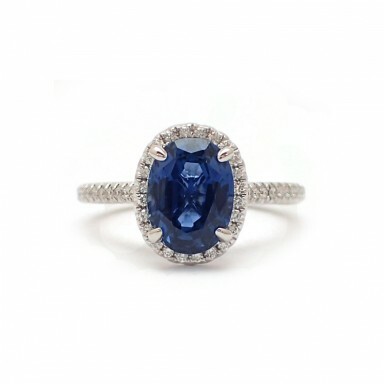 This gorgeous cornflower blue sapphire ring containing a 3ct oval sapphire surrounded by a halo of w.. This beautiful 3.03CT Cushion Cut is accented by two tapered baguettes in this well crafted eng.. 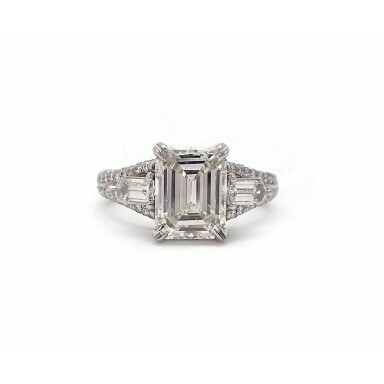 This beautifully crafted emerald cut ring is accented by two bullets and pave set diamonds throughou.. 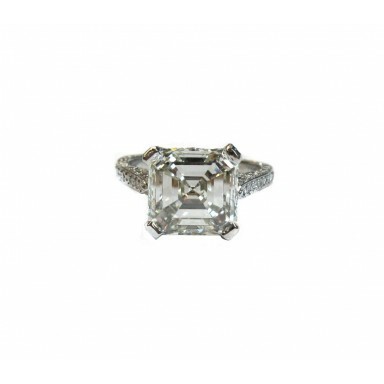 This gorgeous engagement ring showcases a magnificent asscher cut diamond weighing over 4CT. 116 rou.. 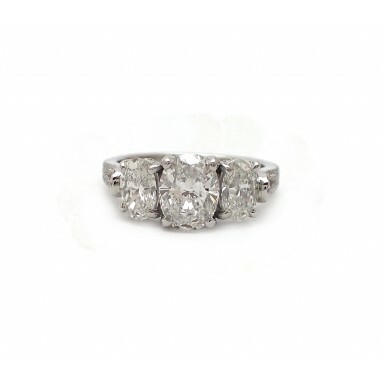 This high quality oval center diamond is accented by two pear shape diamonds in this classic arrange.. 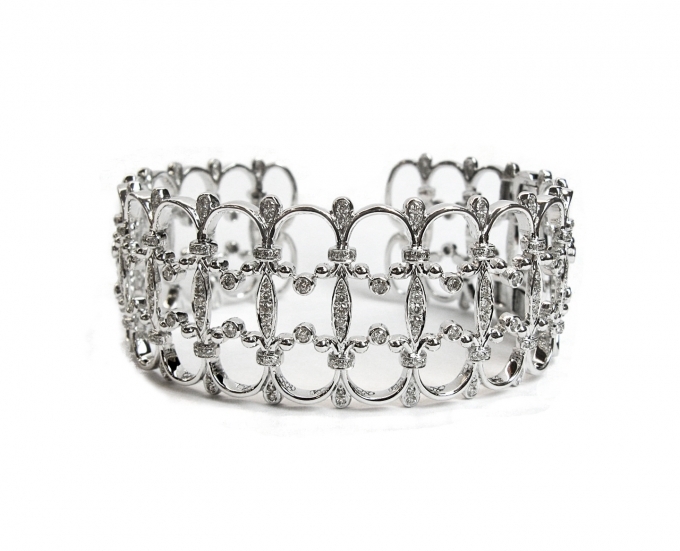 This classic yet modern design is sure to impress. 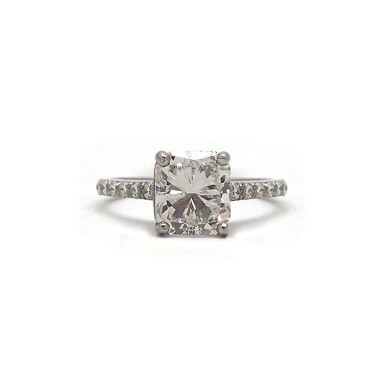 This ring features a center princess cut diamond .. 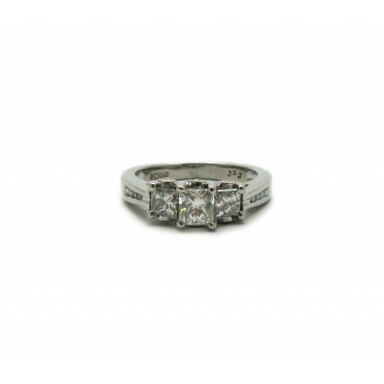 This contemporary design stuns with three princess cut diamonds and channel set round diamonds on th.. 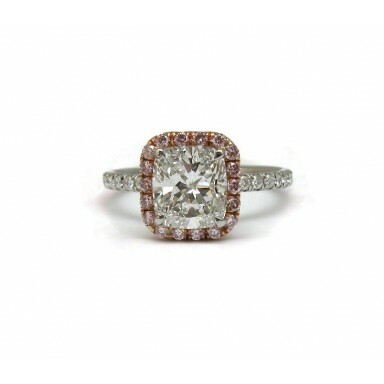 This gorgeous Martin Flyer designed engagement ring contains a GIA certified center radiant cut diam..